No one was hungry for supper last night so I decided to make myself some pancakes. And no, not from a box mix, homemade pancakes are super simple and so much better! After a few minutes of pancake cooking, I did manage to lure two family members to the kitchen. They must have smelled pretty good! So, I thought I would share the love. This is my go-to pancake recipe. I like to stir in different things depending on my mood – in the summer fresh blueberries, strawberries or peaches are so good. In the winter we add a sprinkle of chocolate chips and cinnamon. Using fresh eggs make them even fluffier! What do you like in your pancakes? Pardon the awful photos, it’s dark by 6pm here in Northwestern PA! Oh how I long for the bright warm days of summer! 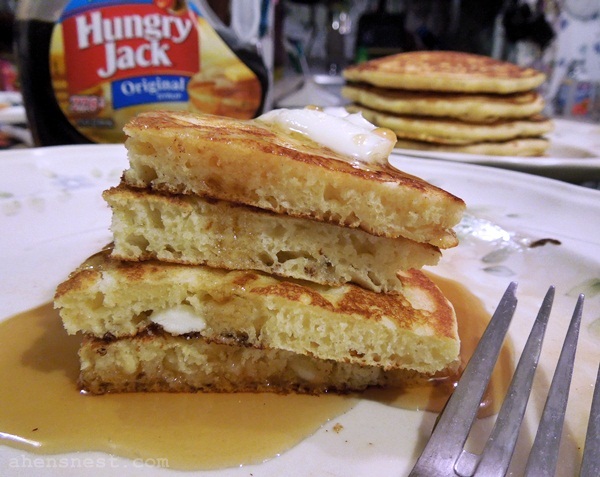 Sweet fluffy pancakes are perfect for breakfast or a fun dinner! In medium bowl, whisk together flour, baking powder, sugar and salt. In another bowl, beat together the milk, eggs and olive oil until blended. Stir milk mixture into flour mixture just until large lumps are broken and all flour is moistened. Preheat griddle over med-high heat. Spray with non-stick cooking spray. Using ¼ cup measure, drop batter onto sizzling griddle. Using bottom of measuring cup, gently spread batter into circle. Sprinkle 8 - 10 chocolate chips over batter and sprinkle lightly with cinnamon. When edges begin to dry and bubbles form on surface, flip pancake to brown the other side. Remove to platter and repeat with remaining batter. 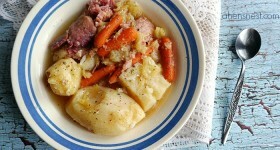 Serve with real butter and maple or pancake syrup. Fresh fruit is also good on the side, we recommend orange segments! I think the photos are great! Bananas are great too! Thanks for sharing the recipe. these look so good. I never can get fluffy pancakes like these. Will try the recipe! 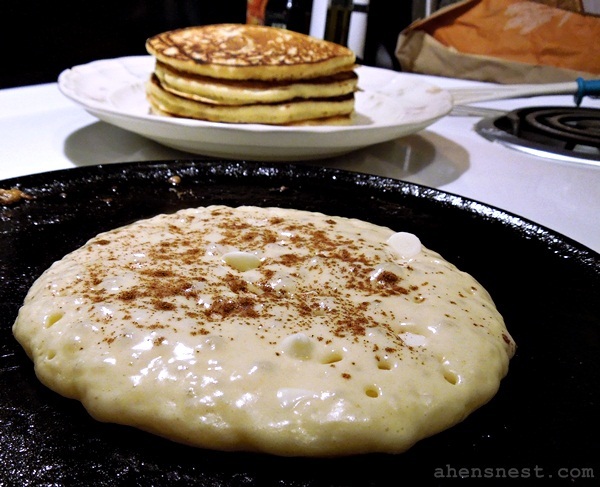 i have never put white chocolate chips in pancakes, but it sounds good! like you, i also like peach pancakes!